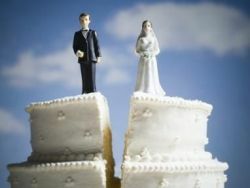 Blogger Susan Walsh has a story examining who is asking for divorce (2/3 of the time, the wife) and why (male and female reasons differ substantially, with the wife’s complaints centering on abuse or disappointment with her husband.) Since these are self-reported, we have to be skeptical of the reasons, especially when “abuse” is now considered a great excuse even where it doesn’t exist, and assists in custody battles. Some studies show significant abuse by wives of husbands, but apparently men are ashamed to cite it as a reason. Thanks for the link, Jeb. Much appreciated. It’s really starting to get on my nerves how articles such as this constantly use who initiates the divorce as evidence for who decided to end the marriage. Maybe I’m the one in a billion exception here but my husband unilaterally decided to end our marriage. I’m not sure exactly when because he never told me, he still hasn’t. It was probably eight or nine years ago. And he still won’t divorce me. I’m going to have to divorce him; even though he is in another relationship and has been for probably eight years he’ll likely never divorce me. Thanks to your book, Jeb, I now know that he’s dismissive avoidant. His gf is anxious-preoccupied lol. He doesn’t just avoid emotional intimacy and negative emotions, he avoids facing up to the facts and dealing with the consequences of his decisions.